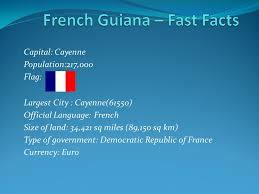 So here we are in Cayenne, capital of French Guiana, for a weekend away from Suriname. Antoine, the fastidious, eccentric owner of the little gite into which three of us are crammed, has a small swimming pool in his garden and we are welcome to use it. But – there is always a but with Antoine – he doesn’t use chemicals to keep it sterile; he uses salt. With his limited command of English and reluctance to use the French that I might understand, he makes the pool sound like a bad idea. There is a beach, though. This area is called Rémire Montjoly and on the map it shows several beaches. Having been around here before, I ask him if the sand is white. No. Is it black? Not black, no. Somewhere in between. Wherever you go in the world, people are proud of their beaches, and if they can’t be proud, they’re defensive. Beaches=paradise and theirs are no exception. My wife goes shopping and the niece and I head for the sea, which is reached via an area of big, expensive-looking houses including one that doubles as a performing arts academy. Classical piano music drifts through the gate as we make our way down the lane and through a little rough jungle path to the sand. No, it’s not white and it’s not black. If you’re feeling generous it’s sort of golden. Maybe a bit red. It is hot down here and the sea is warm but cool in that complex area regarding body temperature. There are people swimming, so we wade in and get wet. The overall effect is of going for a swim in a builder’s yard after a monsoon and the funny thing is, the water doesn’t taste salty. It doesn’t smell like the sea either, come to think of it. It doesn’t smell bad, it just lacks something. Refreshing, though, and it gives us the energy to walk along to the end, where small buildings on the edge of the sand could be cafes or bars. There are fish here. They punctuate the high tide mark, dead and rotting. The cafes and bars turn out to be private houses, so we walk back and play in the sand: baseball with bent driftwood sticks and some sort of hard, almost round fruits or seeds that disintegrate when you hit them. It’s midday in the tropics and it’s hot, so eventually we leave the beach, sweat our way back through the lanes to the gite and shower the building-site sand off. Not having planned for a day such as we have had, I brought no sun screen and no after-sun, but I feel okay. When you grew up with beaches all around and spent every possible hour on them, you have an innate immunity to the sun, or think you do. My wife returns with treasure from the streets of the town centre and we check out the barbecue. It’s brick-built, attached to the wall and is out there in all weathers. Filthy is probably the wrong word. Rusty, dusty, grimy are all true and we hatch a plan to buy some aluminium foil and wrap each bar that will touch the food. We hit the supermarket and return with half a ton of supplies, including some French wine which looks good and you just have to hope it wasn’t boiled in a container on the way across the ocean. Knock up a potato salad and throw oil and vinegar at some leaves. Light the barbecue, which, with a charcoal one, is an art. Put a firelighter brick down, lay a few little lumps around it, poke a lit match through and build a pyramid of the black stuff over the flame without starving it of oxygen in the process. I build three small pyramids and it heats up co-operatively. The steaks were a mistake. Too big, too thick and a butcher probably could have told me they would be tough however you cooked them, but the chicken and the sausages are fine. And so is the wine. My skin begins to feel cooked too, though, and it’s just as well we invested in some after-sun cream on the food trip. Next day, Antoine comes round, ostensibly to see that everything is all right, but really to check for breakages and any way he can reduce the amount of deposit he refunds. There is a stick lying next to an ant hole in the lawn and he wants to know what has happened. He knows as well as I do that either I or my niece (it was ‘er wot done it, actually) have been poking around. Well, mon vieux, who knows? Mystérieux, n’est-ce pas? Somebody must have thrown it over the wall. Wow indeed. In the coming days the soreness became a rash and the rash became a snowfall of dead skin. 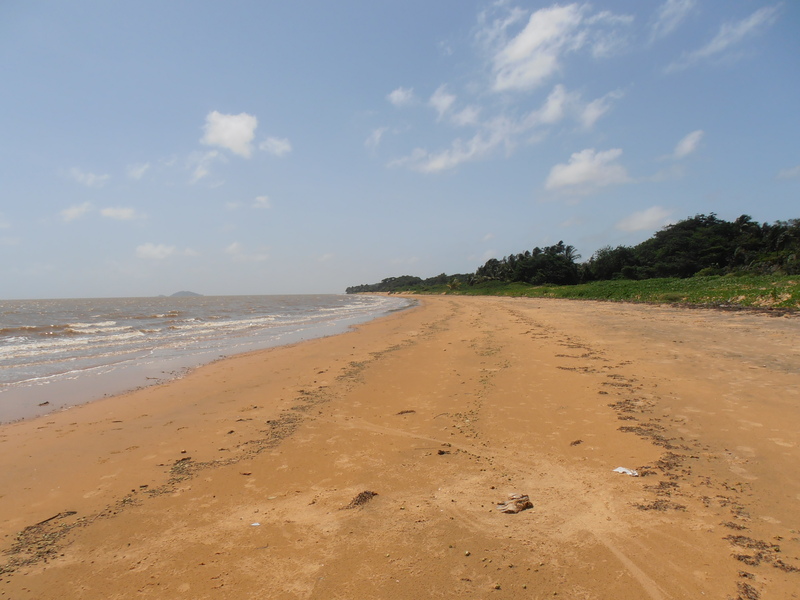 So remember, French Guiana is a nice place in many ways, and they do have proper beaches, or so I’m told, but not around Montjoly. And the sun is hot.